Are you looking for Pest Control? 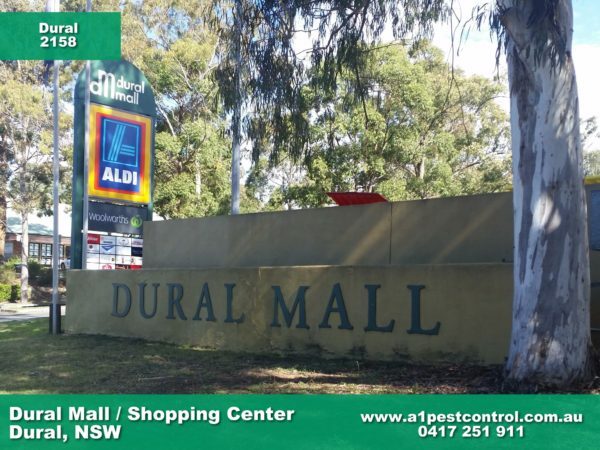 Dural is local to our firm and has been our service area for over 35 years. Rest assured that we are located at Bella Vista, in the Hills District of Sydney. We are a family owned firm and have survived in business by giving all of our customers what they are looking for, a reliable, trustworthy service at a reasonable price. We have been successfully treating Bee Removal, Termites, Spiders, Cockroaches and Ants, all with low toxic treatments. The Mall is another shopping centre laid out like a little village that caters to the locals providing ample options for a weekly shop. Landmarks are the Country Club located at 662A, Old Northern Road, the Pony Club located at Bannerman Road Kenthurst and the Driving Range at 260 – 266 New Line Road. ants because of shelter and flying ant swarms. Regular, competent termite inspections are recommended because of the high risk environment.